You can redirect visitors from a subdomain to another location. For example, you can redirect the news.yourdomain.com subdomain to the blog.yourdomain.com. Click Subdomains under Domains in cPanel. Under Modify a Subdomain, locate the subdomain you want to redirect. Click Manage Redirection. 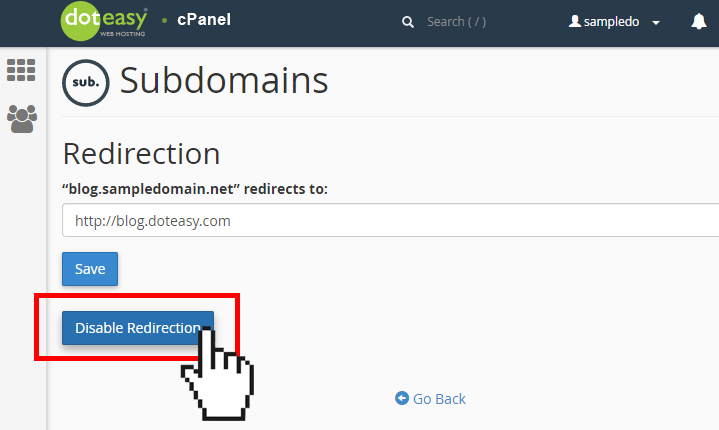 In the Subdomain Redirection text box, enter the redirection destination address.